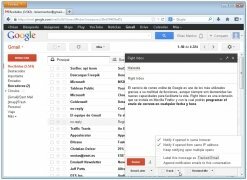 Google's online email service is one of the most popular in the world thanks to its many functions, although new possibilities that make life easier are always welcome. 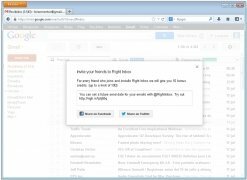 Right Inbox is an add-on that is installed in Mozilla Firefox and with which you can schedule when to send emails on any date and at any time. 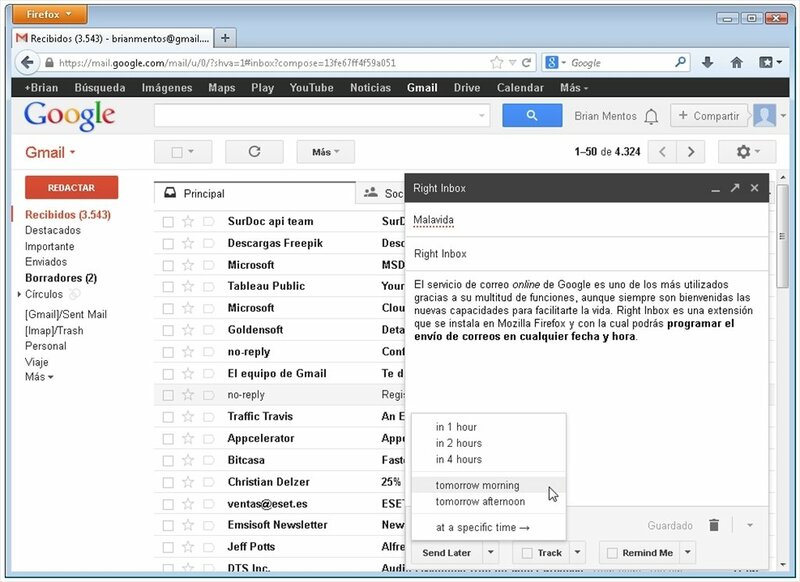 Schedule emails in Gmail to send them later. You only need to indicate on the calendar the time and date. 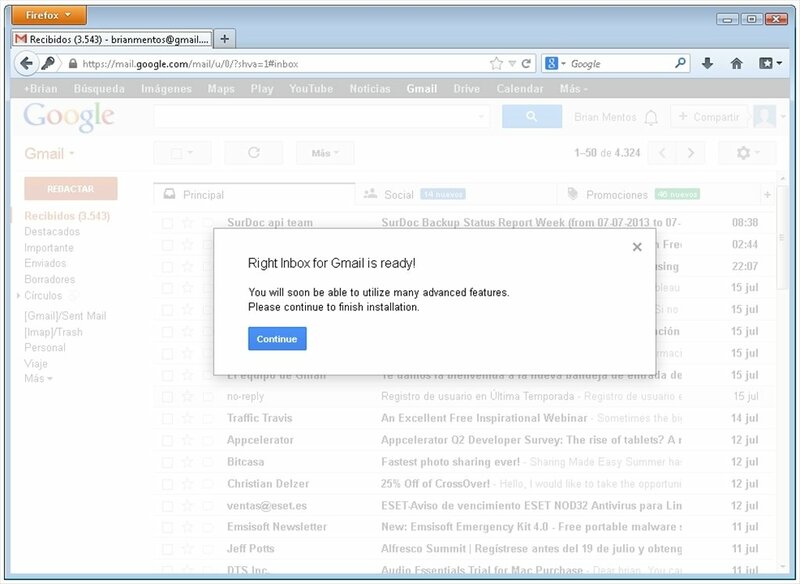 Right Inbox will send the mail whenever you say. Furthermore, you can also track the emails sent, viewing when they have been opened by the recipient or establish reminders for your daily tasks. 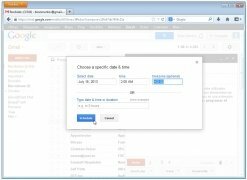 Schedule the delivery of emails for future dates. Choose time and date with total freedom. 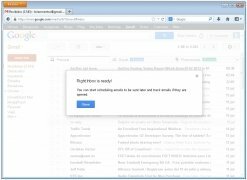 Create reminders and keep your inbox tidy. 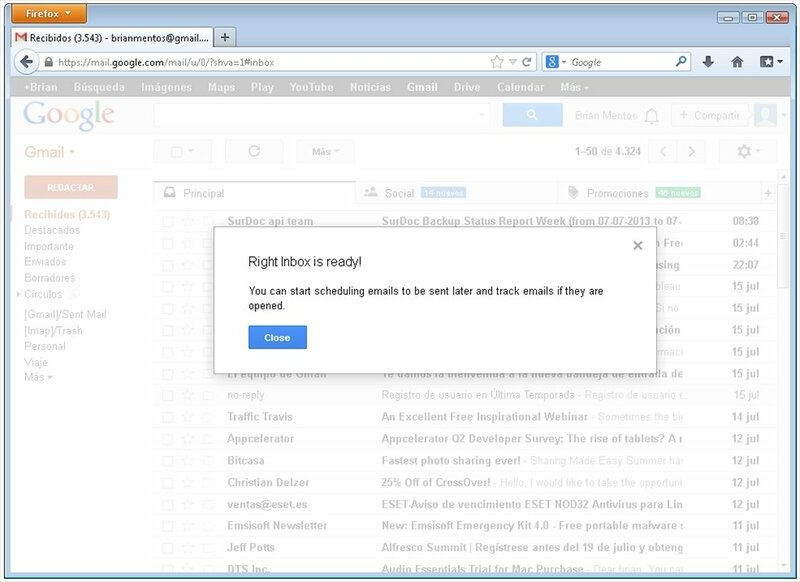 Find out when your messages are read and when their links are accessed. View the location of the recipient. 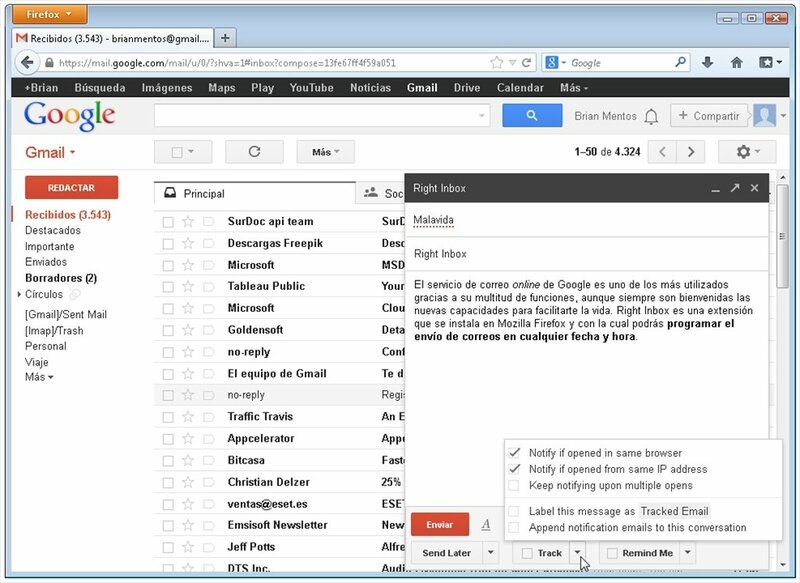 Perfect integration with Gmail. Also works with Google Apps. 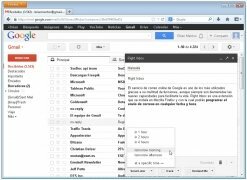 When you write your emails, apart from viewing the button to send them now, you'll see another one called "Send Later". If you choose this option, you can program the moment of the delivery. 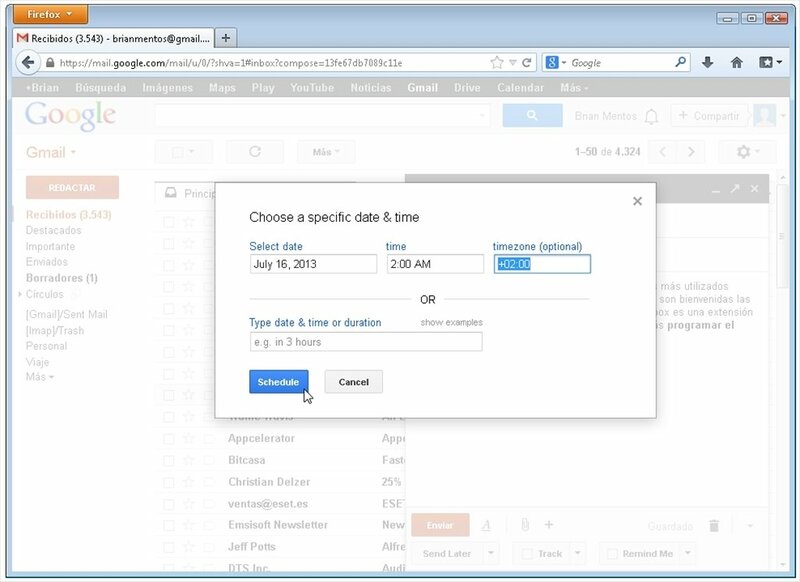 There are several general default options apart from the traditional calendar to choose specific times and dates. The scheduled email will be stored in the drafts folder. If you need to carry out a change before sending it, you know where to look. 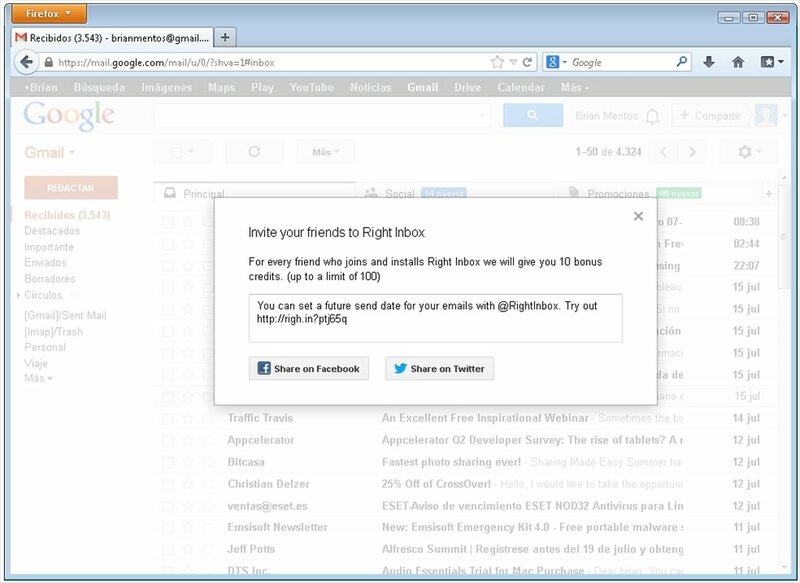 If you're a Gmail user and you need to send scheduled emails, download Right Inbox free for Firefox. 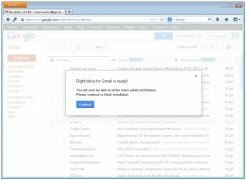 Program the sending of emails for any future date with Right Inbox. 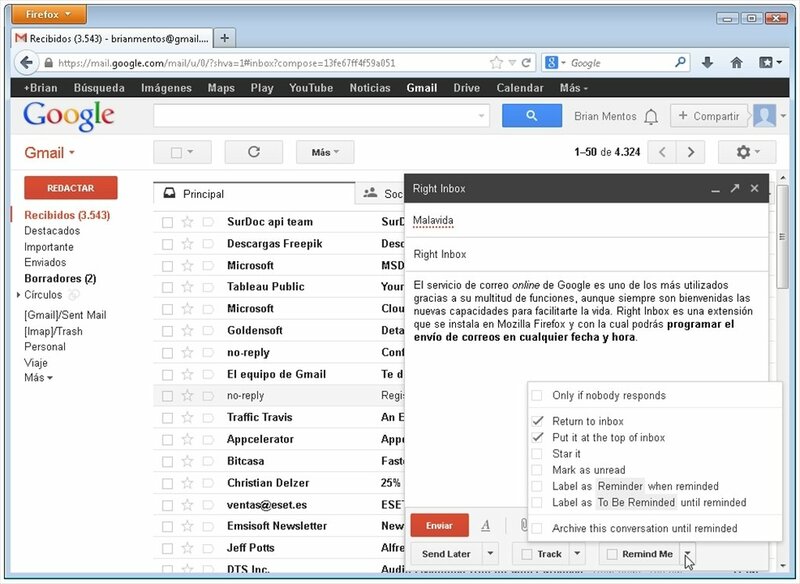 Once Right Inbox has been given the corresponding permissions you need to sign out and then sign in for it to start working.